Ooredoo today held its Annual General Meeting, where shareholders discussed and approved the company’s Corporate Governance Report and financial statements following confirmation of final year results for 2018. During the meeting, shareholders approved the recommendation of the Board Of Directors to distribute a cash dividend of 25 percent of the nominal share value (QR 2.5 per share). In his address to the meeting, H.E. 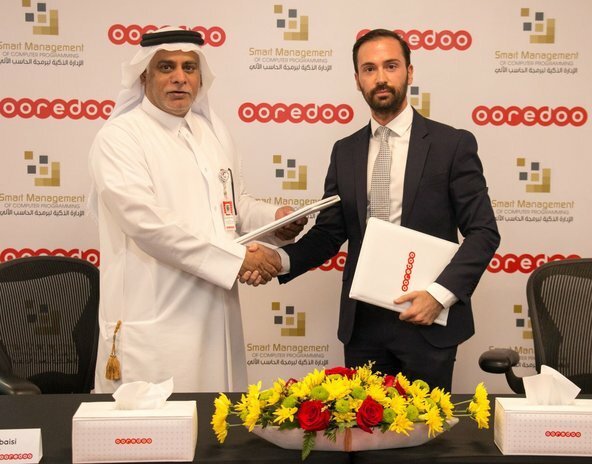 Sheikh Abdullah Bin Mohammed Bin Saud Al-Thani, Chairman of Ooredoo, outlined the success of the Group’s strategy of digitally transforming its offering for customers to enable them to reap the full benefits of the online world, while also digitally transforming internal procedures to enable operating companies to consolidate processes. This has enabled its operations to improve effectiveness in achieving targets, as demonstrated by robust results from the majority of the Group’s operating companies. Financial highlights of 2018 included revenues of QR 29.9 billion, with strong contributions from Oman and Kuwait, with EBITDA at QR 12.2 billion and EBITDA margin of 41 percent. Net profits to Ooredoo shareholders were QR 1.565 billion, with net profits in Q4 much improved compared to the same period in 2017 credited to reduced consumption costs and tax. B2B revenues were QR 5.2 billion, reflecting Ooredoo’s continued support of its business, SME and government customers. Significant revenue contributions came from data, with strong contributions from Qatar and Indonesia resulting in data revenue reaching 47 percent; some QR 14.2 billion, further confirming the success of the Group’s development and growth strategy. Structural changes in the global telecommunications industry prompted changes in the management of some operating companies, and the Group took steps to optimise costs to ensure strong returns to shareholders. Adoption of new technologies was clear in all markets, including the world’s first commercially available 5G network in Qatar, the testing of the world’s first aerial drone taxi also in Qatar, the launch of pre-5G technology through home broadband in Oman, the first operator to roll out 4G in all areas of Algeria for the first time, the launch of 3G in the West Bank for the first time. H.E Sheikh Abdulla also noted the revision of the Group’s Standard & Poor’s rating from negative to stable, reaffirming the rating of the Group as an issuer at A-2/A-, amidst a general revision of Qatar’s ratings in light of the great flexibility of Qatar’s economy. The Board’s report for the year ended 31 December 2018 was heard and approved, and business plans for 2019 and beyond were discussed. The Corporate Governance Report for 2018 was discussed. The External Auditor’s Report for the year ended 31 December 2018 was heard. The company’s financial statements for the year ended 31 December 2018 were discussed and approved. The Board of Directors’ recommendations for the distribution of dividends were discussed and approved. Members of the Board were discharged from their liabilities and their remuneration for the year ended 31 December 2018 was determined. The external auditor for the year 2019 was appointed and its fee determined. Approve the amendment of the Company’s Articles of Association to comply with the Commercial Companies Law (11) for 2015, and the regulations mentioned in the QFMA Governance Code for Companies and Legal Entities Listed on the Main Market and the Qatar Financial Markets Authority Board decision in its fourth meeting in 2018 which was held on 16 December 2018 and referred to in the Authority letter No. (م.ر.ت-3-2019) dated 6 January 2019 regarding splitting the nominal value of listed companies’ shares, and authorising the Chairman to conduct that.